Rates for home loans were little changed near recent lows as investors struggled to make sense of competing economic narratives, offering some breathing room to house hunters. The 30-year fixed-rate mortgage averaged 4.08% during the April 4 week, mortgage guarantor Freddie Mac reported Thursday. That was up two basis points, and marked only the third time this year that the popular mortgage product has charted a weekly rise. The 15-year fixed-rate mortgage averaged 3.56%, down one basis point. The 5-year Treasury-indexed 3.66%, down from 3.75%. The disparate moves in the mortgage products mirror conditions in the broader bond market. The 30-year fixed-rate mortgage tracks the benchmark U.S. 10-year note, while the shorter-lived loans track short-term debt instruments, like LIBOR. Generally speaking, investors can expect to receive higher interest payments for longer-term debt, since lending money for longer periods carries more risk than shorter timeframes do. But when things get out of whack in the economy and markets, that can change. On March 22, that’s exactly what happened. The “yield curve” — a visual representation of how much bonds of various durations are yielding — inverted, meaning that investors were demanding more yield for short-term bonds than for long-dated debt. Over the past few decades, an inversion of the yield curve has generally been a harbinger of recessions, and a signal that investors are more uneasy about the immediate future for the economy and markets than for the long-term. After the brief inversion two weeks ago, market conditions have settled, and some economic indicators have even perked up. If longer-lived mortgage rates are rising while shorter ones are falling, it shows the yield curve normalizing, at least for now. What does it mean for the housing market? 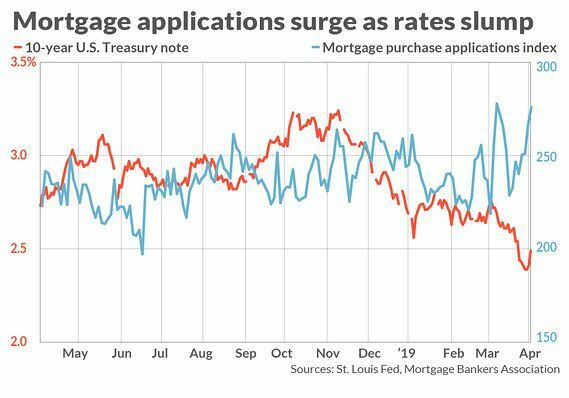 The surge in mortgage applications to purchase a home, shown in the chart above, is one indication that Americans still want to try to become homeowners, and are watching carefully for their best shot at financing that dream. Even with the tiny upward tick in the past week, the 30-year fixed, which makes up about 90% of all purchase loans, is still at its lowest in over a year. 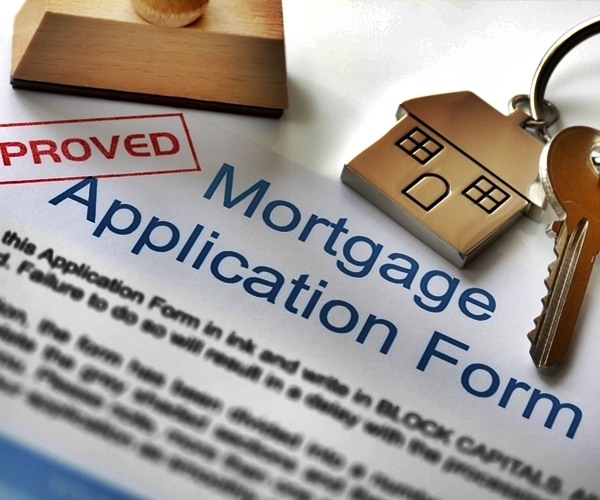 “Applications for smaller purchase loan sizes exceeded that of higher loan sizes — a positive sign that first-time buyers were increasingly active in the market,” said the Mortgage Bankers Association, which tracks weekly home loan applications, in a release.